In addition to gauging the levels of supply and demand in the forex market through the use of various technical analysis methods, many forex traders also rely on some form of fundamental analysis. Fundamental analysis is a set of analytical methods which typically focuses on the study of changes in underlying economic conditions as a catalyst to stimulate moves in particular currency pairs. Due to the notable psychological element that typically dominates trading in the currency arena, market sentiment can have as much impact on the future direction and volatility of a currency pair as many significant geopolitical and economic events can. Furthermore, performing a detailed and accurate forex market sentiment analysis can help a currency trader clarify and align their own directional expectations with the overall market — or the more savvy elements within it — and this can give a trader a stronger basis for establishing profitable trades. Most currency traders who use fundamental analysis will look at key economic data releases and the results of current geopolitical events occurring within each currency that makes up the relevant currency pair. They then use this information to help decide which direction to take in the currency pair. The sum total of their collective decision making process results in the phenomenon of market sentiment. Market sentiment makes up a large psychological component of what drives changes in the market value of a currency pair’s exchange rate. In general, if the economic and geopolitical factors for a particular country show a strengthening economy that should surpass the performance of other nations, then this set of circumstances will tend to shift underlying market sentiment for that currency positively and result in a better valuation of it relative to other currencies. On the other hand, a negative market sentiment response might occur for a particular currency if less favorable economic numbers were released that show the country’s economy is slowing down, or if a leading economic indicator like consumer confidence starts to soften in response to less favorable economic conditions like a weaker job market, for instance. As an example, if a country is exhibiting an expanding Gross Domestic Product, a narrowing trade deficit or surplus, attractive interest rates, and strong employment numbers, those factors should be supportive of favorable market sentiment for that currency. Performing a common form of forex market sentiment analysis can involve a detailed review of the raw data indicating what percentage of transactions have resulted in a specific position in a currency pair and what types of traders have elected to take such positions. For example, consider the situation where nine hundred high volume traders have taken an open long position on the EUR/USD currency pair, while just one hundred micro lot traders have taken the opposite open short position on EUR/USD. In this case, a possible forex sentiment indicator intended to analyze the difference in long versus short sentiment might show a 90 percent overall long position. In addition, this raw sentiment data would show a 100 percent long position taken by higher volume traders, who are generally presumed to be more professional and hence thought to be more likely to accurately call the market’s future direction. For forex traders, the most important and well respected market sentiment data is the U.S. Commodities Futures Trading Commission or CFTC’s Commitment of Traders (COT) report. Although this popular market sentiment report pertains exclusively to the futures market traded on the Chicago International Monetary Market or IMM, it is widely used because the vast majority of forex trades are conducted in the unregulated Over the Counter (OTC) market either in the form of Interbank trades or via online forex brokers. 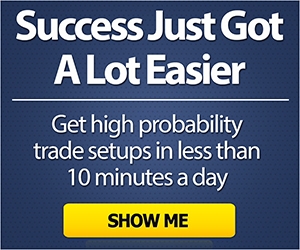 As a result, an accurate assessment of the volume of trades in any currency pair and the types of traders that make them up is generally quite difficult to obtain. Despite the overwhelming popularity of the OTC forex market, a number of traders also choose to use the Chicago IMM to trade currency futures contracts, which are available on most major currencies against the U.S. Dollar, and on some minor currency pairs and cross currency pairs. The Commitment of Traders report shows the direction of the positions these futures traders took, what type of trader they are, and the size of these positions taken over a one week period. In addition to the COT report, some online forex brokers like FXCM publish useful market sentiment indicators on their websites or proprietary trading platforms that typically show what other traders who deal with the broker are presently doing. Another potentially useful form of sentiment indicator are the economic surveys performed and released as indicators for the world’s major economies. Unexpected changes in the outcome of these often influential surveys can cause sharp market shifts in the exchange rate, and the crossing of key levels in their readings can be used as signals for forex trades to be taken. The following sections of this article will discuss some of the more popular market sentiment indicators used by currency traders. As mentioned above, The Commitment of Traders or COT report is one of the most useful market sentiment indicators available to forex traders. It also provides information about other commodity and financial futures and derivatives markets in addition to covering foreign exchange futures and options transactions. The CFTC publishes the Commitment of Traders report regularly every Friday, unless Friday is a Federal Bank Holiday in which case the release may be delayed by one to two business days. The information contained in the COT report is based on the futures and options positions that traders who dealt via the Chicago IMM made and held as of the previous Tuesday. While the release of the COT data is generally somewhat delayed by a few days from the time of its accumulation, the information is still extremely useful for intermediate and longer term forex traders. It is followed by a large number of these types of traders who rely on it for their trade planning as a market sentiment indicator. The COT report lists a number of items which can be used by a forex trader to gauge investor sentiment, and it forms one of the cornerstones of forex sentiment analysis as practiced by many currency traders. Open Interest – This number represents the total number of futures or options contracts that have not yet been offset by an opposite transaction, such as delivery or exercise in the case of options. Number of Traders – This result shows the total number of traders that are obligated to report their positions to the CFTC. Reportable Positions – This is the total number of futures and options positions held by traders of a size that lies above the specific reporting levels that are set by CFTC regulations. Non-Reportable Positions – These are the number of short and long positions which do not meet the reporting requirements set by the CFTC in terms of their size. Short Report – This is not related to the number of short positions, but is a briefer COT report issued by the CFTC that shows the level of open interest in each futures contract separately by the number of outstanding reportable and non-reportable positions. Additional data is shown on this report that includes the amount of commercial and non-commercial holdings, any changes from the previous report, spreading activity, the open interest percentages broken down by category, and the number of traders involved. Long Report – This is not related to the number of long positions, but it is instead an extended COT report that includes all the information contained in the short report mentioned above and includes both reportable and non-reportable positions. The long report also groups the data by year, and it shows the concentration of outstanding positions that are held by the biggest four and eight traders. Commercial – This number reflects the positions held by trading entities that have an interest in the production, processing and/or merchandising of a given commodity upon which futures are traded on the Chicago IMM exchange. These positions typically constitute what is known as a “hedge” position for a commercial interest’s underlying position that accrues naturally as a direct result of its non-trading related business activities. Non-Commercial – This classification includes the total amount of all speculative positions, which include those positions held by individual traders, large institutions, hedge funds and other non-commercial users of the futures market that meet the reporting requirements of the CFTC. This represents a potentially useful speculative sentiment index. Despite the notable lack of volume based sentiment analytics for the OTC forex market, the COT report represents one of the most useful forex market sentiment analysis tools available to currency traders. The most prevalent way that forex traders tend to use sentiment in the forex market is by gauging extremes in positioning within the market and using that as a contrary indicator. Basically, when market sentiment levels reach such extremes, when a large number of longs exist relative to the number of shorts or vice versa, the market in the predominate direction is considered “crowded” and is therefore generally primed for a reversal. Basically, once an overwhelming majority of traders is on the same side of the market in a particular currency pair, more often than not, the market will tend to reverse its prevailing direction or trend and a counter-trend correction will ensue in the currency pair’s exchange rate. As fewer traders or commercial interests are left who wish to take the opposite side of the trade, it is often just a matter of time before a reversal in the opposite direction of the exchange rate materializes. Accordingly, extreme levels in trader sentiment are generally seen as a possible signal for a reversal in the direction of an exchange rate. 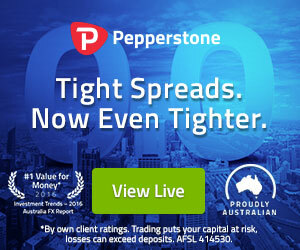 Nevertheless, a word of caution is required here for a potential forex sentiment trader due to the prevalence of long term trends in the forex market that are often caused by changes in interest rate differentials as official monetary policy shifts in one or both countries involved in a currency pair. As a result of this pronounced trending phenomenon currency pairs can exhibit, it is important to keep in mind that notable positioning extremes can be reached for a particular currency pair and yet the pair can still continue to show such extreme levels for a prolonged period of time before reversing significantly. Furthermore, macroeconomic and other fundamental factors may affect a nation’s currency in ways where market sentiment may appear to give a traditional signal, but due to outstanding circumstances, the market does not respond as would ordinarily be expected. These news events could include the country’s monetary policy, interest rates, a referendum on an important issue such as the Brexit vote, a geopolitical event, a natural disaster, central bank intervention in the currency market, or any other circumstance that could exert a substantial influence on the value of one or more of the currencies in a particular currency pair. The Speculative Sentiment Indicator or SSI consists of an index that is released twice a day by the popular online forex broker FXCM. In contrast to the COT report, this much more timely forex sentiment index shows the number of buyers compared to the number of sellers that are active in a particular currency pair at the time of its release. If the SSI index is negative, for example if it is showing a reading of -4.5, then this means that there are 4.5 traders taking a short position on the currency pair for every one trader who takes a long position. Conversely, if the index is positive, for example +2.3, then this reading indicates that there are 2.3 traders going long the currency pair for every trader choosing to short the pair instead. Curiously, the SSI can be extremely useful to short term oriented professional forex traders. Since the majority of retail forex traders tend to lose money, the SSI can act as a useful contrary indicator of market direction in a currency pair. A professional might therefore trade in an opposing direction to the predominate direction of retail trader positioning shown by the SSI. Several business and consumer sentiment surveys or indexes are regularly released as economic indicators for the major economies. These releases are closely watched by forex market traders, and many are considered leading indicators of the direction of the relevant economy. In general, a higher and better than expected reading from these surveys can substantially boost market sentiment for the currency of the relevant country, while a notably disappointing result can considerably damage market sentiment for the currency. Various consumer confidence and business surveys are released periodically, in addition to purchasing managers’ indexes or PMIs. Results from these indicators, which are typically released monthly, can assist fundamental analysts in assessing various aspects of economy related sentiment in the respective countries.